Visit our history website to view photos of past performers and get a more extensive look at the Palace Theater's unique history. Take a guided tour to explore 90 years of onstage history and backstage mystique. Our guided theater tours are scheduled on select dates monthly throughout the season. Built in the early 1920’s, the historic Palace Theater was the center of Waterbury, Connecticut’s active cultural scene prior to WWII. Famous New England theater impresario Sylvester Z. Poli opened the venue in 1922, after investing $1 million in its opulent décor. Designed by period architect Thomas Lamb in a Second Renaissance Revival style, the Palace Theater features an eclectic mix of Greek, Roman, Arabic and Federal motifs, grand lobby spaces and ornate dome ceilings, all in a palatial setting fit for a king. Originally a movie/vaudeville house, the Palace evolved with the times over its 70 years of operation, presenting everything from silent films to Big Band music to contemporary rock concerts. Once considered the premiere performance venue in the Northeast, the Palace lights went dim in 1987. After 18 years of darkness and a $30 million three-year renovation, restoration and expansion, the theater was transformed into a 90,000 square foot arena, housing a state-of-the-art theatrical facility in a historically preserved City landmark. 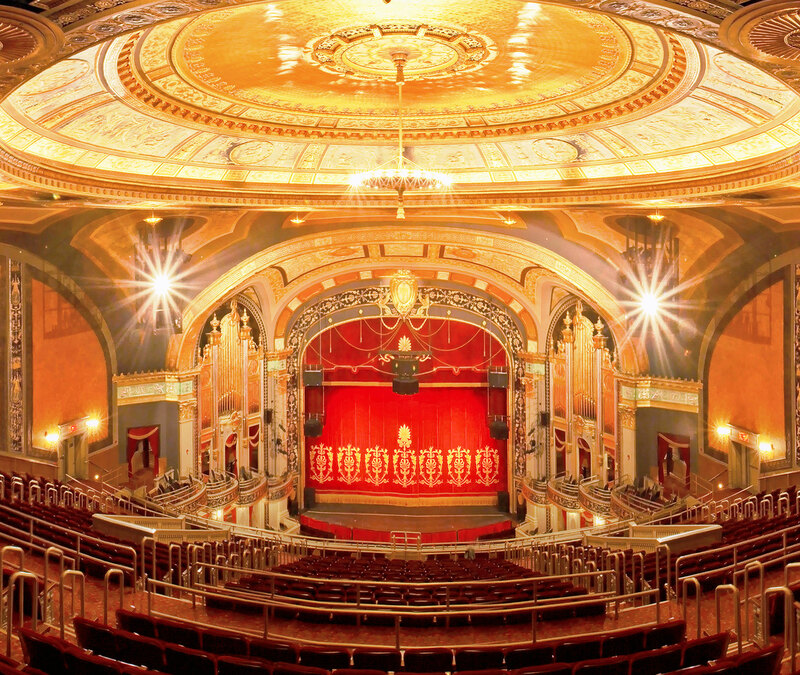 Positioned as Greater Waterbury's Center for the Performing Arts, this exquisite complex now showcases a performance schedule boasting professional Broadway tours, educational programs, family entertainment and much more. Recorded in the National Register of Historic Places, the Palace's primary purpose is to serve as a centerpiece for the revitalization of the Greater Waterbury area by working closely with local businesses and arts organizations to positively impact economic development for the region. In just ten years of operation, the Palace has hosted well over one million patrons and has been credited with generating a new sense of pride in downtown Waterbury, expanding the arts and cultural scene, and positively impacting area businesses, specifically those in the hospitality sector. With a mission focused on serving as an artistic, cultural, educational and economic catalyst for the community, the Palace Theater has once again reclaimed its position as the premiere arts destination for the people of Greater Waterbury and beyond.